Today we take a look at the St. Louis Cardinals and the Pittsburgh Pirates infield. Who has the advantage at each position? Last week fellow Redbird Rants contributor, Ethan Carter, gave us a comparison of the outfield between the St. Louis Cardinals and the Pittsburgh Pirates. As Spring Training approaches, I’m going around the horn to see who has the advantage at the infield positions. In a way, the infield, for both the St. Louis Cardinals and the Pirates, almost mirror each other entering the 2017 season. Both are returning familiar faces around the infield. Both teams are turning to new first basemen at the start of the year. Also, both teams face some uncertainty at the hot corner. Surely one of the infield has the advantage somewhere, right? If you happen to have caught my Cubs Vs. Cardinals infield comparison, then you know where this story is going to go. 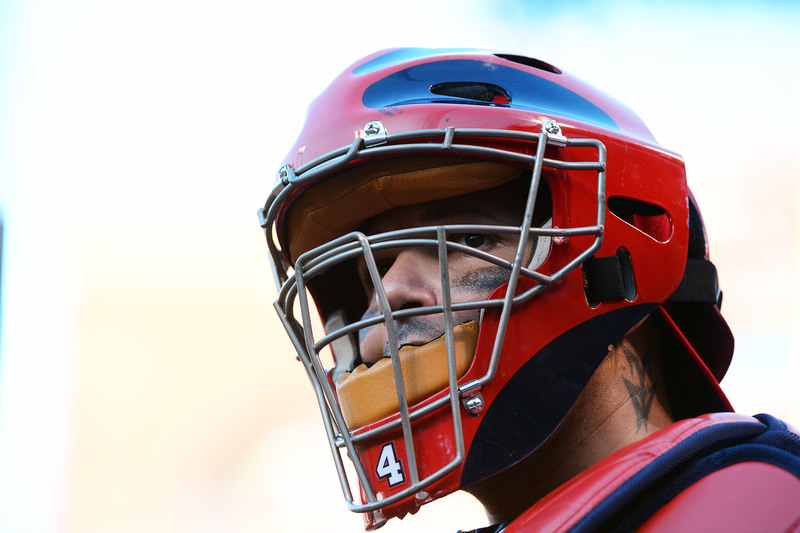 Yadier Molina has been the NL Central’s best catcher for a very long time and that reign won’t end in 2017. That’s not to say every other catcher in the Central is bad. Just last year, the Brewers had a top five catcher in Jonathan Lucroy. The only problem was that it was the Brewers and Lucroy didn’t have much help. 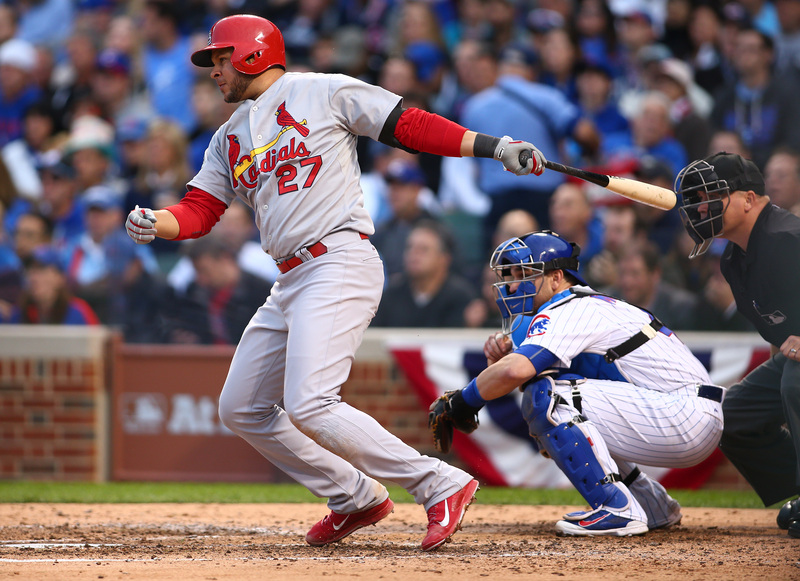 With Lucroy no longer in the picture, teams are looking up at Molina now more than ever. Molina’s successful 2016 season is a continuation of his growth as a hitter throughout his thirteen year career. Although he does not hit for power, Molina is capable of producing a high average with good ability to hit for extra bases. He is projected to lead all catchers in doubles and hits next season. Defensively, he continues to be top of his class. 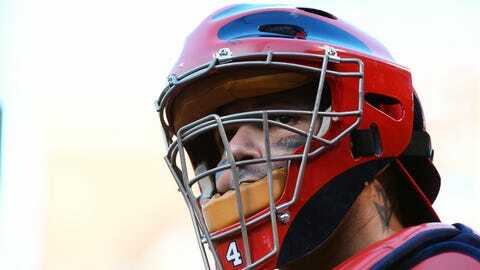 With eight Gold Gloves and six Platinum Gloves to his name, Molina’s defensive prowess is unmatched. Although his age is a factor, he is the top catcher now in the Central Division. Molina’s counterpart, Franciscio Cervelli, is actually a pretty decent player. Since coming over from the Yankees in 2015, Cervelli has quietly batted .282 over the last two years. Injuries played some role in 2016, but he is a steady producer at the plate and is very important to the Pirate’s offense. Like Molina, Cervelli does not hit for power and sticks to his ability to put the ball in play. One big difference between the two catchers is the ability to hit for extra bases. Last year, Cervelli was only able to hit 14 doubles to Molina’s 38. So while Cervelli puts the ball in play, he is more than likely limited to a single. Next: Carp or the Newcomer? Should Cervelli increase his power through the baseball, his doubles and home runs will increase in 2017. His biggest concern though is if he can stay healthy this year. If he is 100% healthy, he is the every day catcher. If he isn’t healthy, he’ll split time with Chris Stewart. As I mentioned at the beginning, both teams are turning to new first basemen to start the 2017 campaign. The Pirates will roll out the young and athletic Josh Bell, while the Cardinals counter with their seasoned veteran, Matt Carpenter. If you are the Pittsburgh Pirates, there is much to be excited about when it comes to Josh Bell. He is a young prospect that saw some action last year late in the 2016 season. In the forty-five games he played in, Bell hit .273 with three HR and nineteen RBI. While those numbers do not scream superstar just yet, let’s compare them to incumbent first baseman for the Pirates, John Jaso. In 132 games in 2016, his .268 with eight HR and forty-two RBI. Josh Bell’s full season would have looked like this : .273 BA, 11 HR, 68 RBI. It’s clear the Pirates have a viable option at first base in Bell. Remember that he is young and inexperienced. So while I don’t expect everything to go as smoothly as the projections say, it’s time for the Pirates to move on from Jaso. The St. Louis Cardinals, however, have decided to move their best player across the diamond to man first base. Matt Carpenter has been one of baseball’s most consistent hitters over the last five years. He is easily the Cardinals best hitter and looks to continue that trend in 2017. While Carpenter played the fewest games since his rookie season, he was able to put another solid year at the plate while being moved around the infield. He batted .272 with twenty-one HR and 68 RBI. 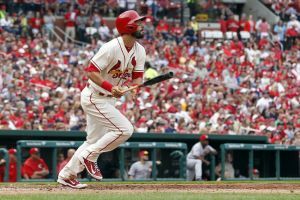 Although his injuries cut short his offensive production, a healthy Matt Carpenter is a must need for the Cardinals. Over the last five years, Carpenter has hit seventy-four HR and drove in 335 runs. His production at the plate cannot be underestimated and if the Cardinals want to be contenders, they need him to be at his best. Next: Hawaiian Hammer or Harrison? Even though he has not logged many innings at first base for the Cardinals, I would gladly take him over either Pirates first basemen. 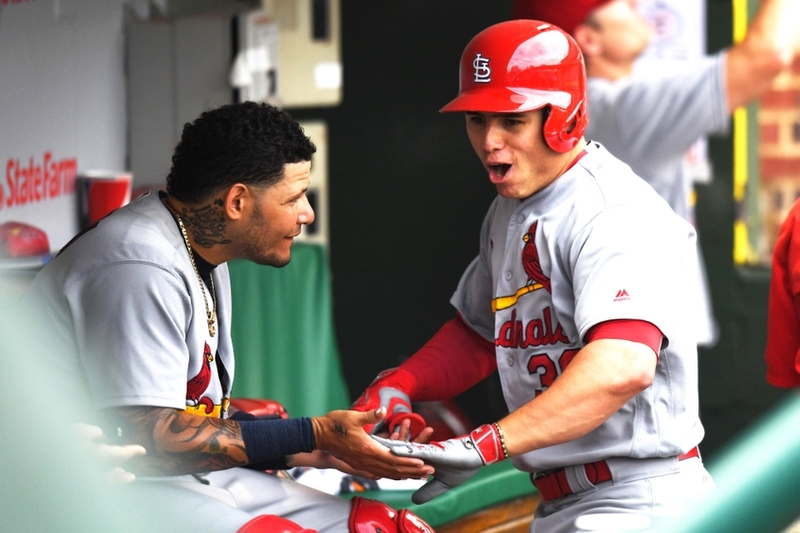 Second Base: Josh Harrison or Kolten Wong? 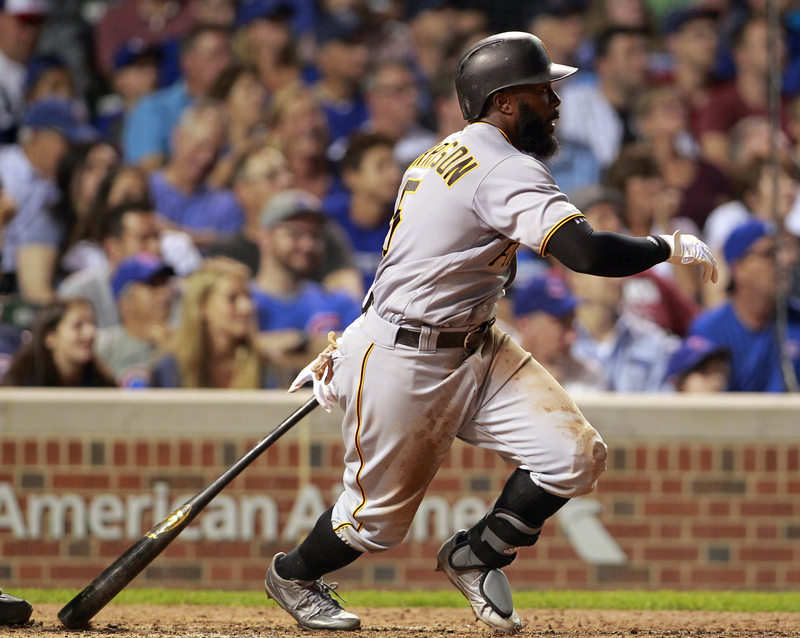 The Pirates bring back Josh Harrison to man second base in 2017. After a couples years as a utility player, Harrison has quietly been a consistent second baseman over the last three years. He occasionally sees some time in the infield and outfield, but his majority of games come at the keystone. Offensively, Harrison has been rather productive at the plate. Since becoming a starter in 2013, Harrison has batted .296 with twenty-one HR and 121 RBI. Outside of those numbers, Harrison also has the ability to hit for extra bases and cause havoc on the base paths. It will be interesting to see where manager Clint Hurdle will position Harrison in the lineup. Harrison is a prototype number two guy with high contact and extra base ability, but the Pirates do not have much else after Starling Marte, Gregory Polanco, and Andrew McCutchen in the lineup. It’s possible to see Harrison hit as far as fifth in the order to field an adequate lineup. Although he is not a major liability defensively, it is the area that could stand the most fine tuning. Last year, Harrison had a dWAR of 1.1. While not the greatest, it is still manageable for the Pirates and is better than what Kolten Wong produced last year. If Harrison can stay healthy and continue to work on his defense, he approaches the discussion for best second baseman in the Central Division. While Kolten Wong is more known as a defender, he sure struggled last year to live up to that reputation. His dWAR was a mere .6 in 2016. Now that doesn’t speak to his overall ability, but if the Cardinals are going to rely on him for the years to come that numbers needs to improve dramatically. He certainly has the speed and ability to be among the best defenders at the keystone. He needs to regroup and make the fundamental plays look easy and flash the leather when it needs to be done. I expect him to rebound and put up numbers closer, if not better than Harrison defensively. However, it is offensively where Wong has struggled the most since his rookie season. Wong has not been able to put together solid years at the plate and has become a little frustrating to watch. Cardinals fans were treated to welcoming power from the Hawaiian Hammer, as I like to call him, in 2015, but a player like Wong shouldn’t thrive off power. His game is speed and contact. While the occasional power is good, the Cardinals are expecting someone who can get on base and create opportunity with his legs, much like Harrison. Now do I expect Wong to rebound? Absolutely. He is a good player and still young, but the Cardinals might have a short leash on him. If Wong can return to form and stay consistent throughout the year, he is definitely the better player. However, right now that player is Harrison. Aledmys Diaz, or as I prefer to call him “El Cubano,” had a surprisingly great rookie year for the St. Louis Cardinals in 2016. In 111 games last season, “El Cubano” manages to bat .300 with seventeen HR and sixty-five RBI. If anybody had told you that’s where Diaz would be at the end of 2016, please refer that person to Mozeliak. If we expand his stats to cover a 162 games, Diaz would keep up his .300 average, but his home run total and RBI total increase to twenty-five and ninety-five respectively. His RBI total would have surpassed Stephen Piscotty‘s RBI total to lead the team. So there is no understating what Diaz can do for the Cardinals with his offense. He figures to slot in between Fowler and Carpenter in the two hole. One thing that I would like to see Diaz improve on is his base running. Although he does not have blazing speed, it would be nice to see the Cardinals play with the “Hit and Run” sign on this year. While Diaz has plus offense, his defense needs some big time work. Diaz complied a dWAR of .2 in his first season. He also posted a -3 Runs from Fielding in his fist season as well. So it’s safe to say he wasn’t the greatest at SS, but luckily the Cardinals have Jose Oquendo back to work with Diaz. I’m hoping to see improved defensive play from Diaz in Spring Training. Related Story: Should Aledmys Diaz Truly Be Trusted? If there is one position the Pirates need to find an upgrade in, it’s at SS. Now, im not saying that Jordy Mercer is a bad player; he is just not that great either. Offensively, Mercer has struggled his entire career. His career average hovers just at .257 and is not known for much, if any power. Unfortunately, his 2016 was just like his career numbers. He sported a .256 average with eleven HR. Nowadays in the MLB with SS like Carlos Correa and Corey Seager, Mercer doesn’t come close to what they offer. Defensively, he was actually worse than Diaz. His dWAR was -.3 and his Runs from Fielding sat at -9. So defensively, Mercer is a liability to the Pirates. The only way to reverse this trend is to look in house and see if anyone in the minor leagues is ready or look to other big league clubs. El Cubano is a better player than Mercer is and will only get better as he matures. Third base seems like the biggest source for questions for both teams. The St. Louis Cardinals will have a positional battle on their hands with Peralta and Gyorko looking for starting time. Who gets the nod? For the Pirates, the biggest question is where is Kang’s health? Following his recent situations with alcohol, can the Pirates afford to play Kang every day? As I mentioned above the Cardinals have to decide between Peralta and Gyorko. Fellow Redbird Rants contributor, Trevor Hooth, gave us an early look at who he thinks will win job to being the season. If I make the decision, I like Jhonny Peralta. So for the sake of the rest of this comparison I’ll assume Peralta is the every day third baseman. I think Peralta’s experience on the field and at the plate give him the advantage coming into the season. While his age and last year’s injury is something to be concerned about, Peralta has been on the record saying that he is 100% healthy and ready to compete for the 3B job. In the three seasons Peralta has been with Cardinals, he has proven to be a main ingredient to the lineup’s success. Unfortunately, last year was derailed due to injury. However, prior to his injury, Peralta was arguably a top 5 SS. As a Cardinal, Johnny has hit .260, averaged fifteen HR and 58 RBI. While not exactly eye popping, Peralta’s steady contribution played a major part in the Cardinals success throughout the seasons and playoffs. If he is indeed healthy, I like him to bounce back. Because of the similarity to Yadier Molina’s thumb injury, I’m a little worried about Peralta’s power. Remember that Molina hit twenty-two HR the year before his thumb injury. The year after that he barely hit any. So it might be plausible to say that Peralta’s power may not be there. Defensively, Peralta has always been a solid fielder and will continue to do so. At age 35, many wonder whether he can field his position. He has a career dWAR of 6.5 While he may not be the ideal candidate for the Cardinals at 3B, he has logged plenty of innings at the position to field it cleanly. I believe the Pirates will counter with Jung Ho Kang at 3B. He has been rather confusing at the plate. His rookie year, Kang batted .287 with 15 HR and fifty-eight RBI. That’s pretty good for someone that came out of the Korean League to MLB. However, 2016 was a major regression. 2/7 – St. Louis Cardinals: Is Signing Seth Maness A Good Idea? 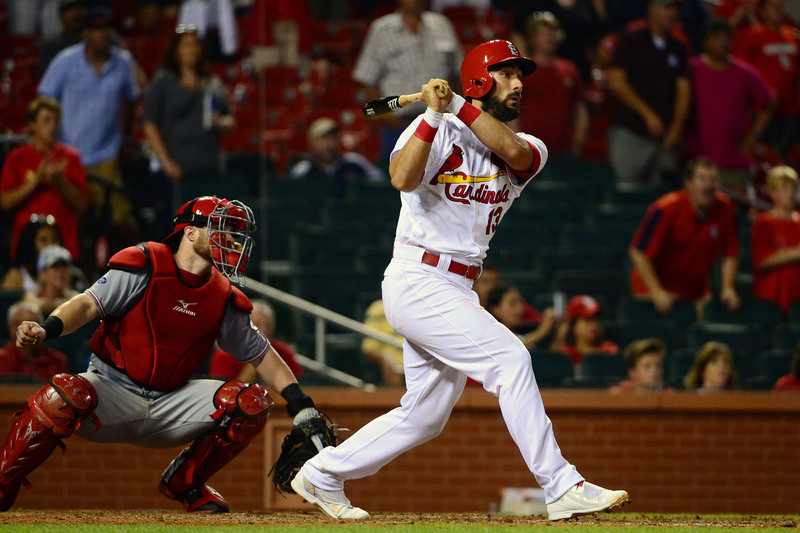 2/6 – St. Louis Cardinals: How Will the Cardinals Fill Their Third Base Hole? While he improved his HR and RBI total, twenty-one and sixty-two respectively, it came at a steep price. Kang sacrificed 30 points on his average and ended up batting .255 on the year. There is sacrificing average for power, but not at that rate. He will need to find the happy medium to return to his rookie season numbers. Also, is it me or does he always hit a home run off the Cardinals? Defensively, Kang has never had a season above 1 when it comes to Defensive Runs Saved. Last year, he actually was around -.1. While not egregious, there is certainly room to improve. He has a pretty good arm and similar range to Peralta. While Kang’s age, 29, is not much of a factor, his outside habits are. It’s possible that the habits had during the offseason are the same ones that caused him to have a poor season in 2016. He may have checked into a rehab center, but until I see him in game his regression speaks louder and louder. I like Peralta over Kang on this one. Peralta has the experience on Kang and defensively is not, and has not been, a liability to the Cardinals. Now, if Jedd Gyorko beats out Peralta I would take Gyorko over Kang. Mainly citing the same reasons. Gyorko and Kang are similar players now, but I like his defense better. So at the end of this one, the Cardinals take the infield 4-1. They are a better team than the Pirates. The latest projections show that the Cardinals will win right around 88 games where the Pirates will win around 81. Although it’s not far off from each other, I believe the Pirates projections are a little generous. Go Cards!